Imagine a cake good enough to eat upside down. 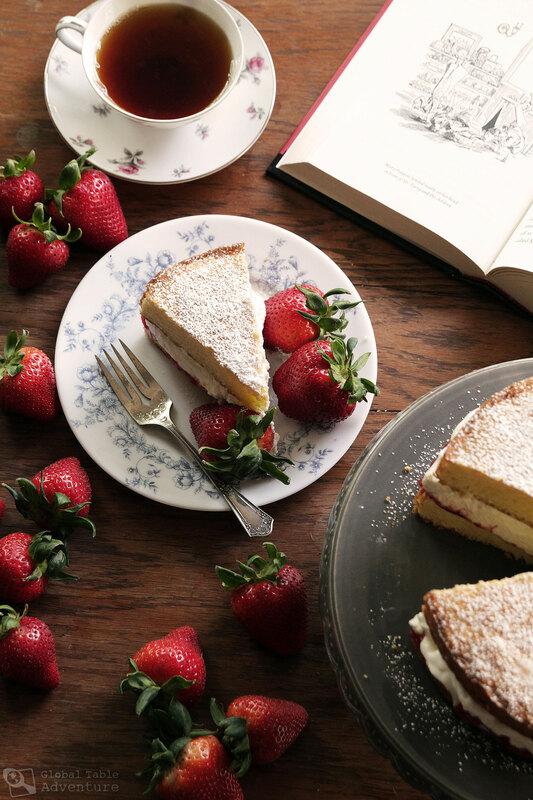 This Victoria Sponge Cake is 100% inspired by Mary Poppins – that lovable British nanny at the heart of countless quirky adventures – and, yes, it’s that good. The recipe is mentioned in Mary Poppins: 80th Anniversary Collection, which I gave my daughter for Valentine’s Day. A note on these books: P.L. Travers’s collection goes well beyond the parameters of the Disney movie – the floating tea party scene at the heart of the film can be found on page 42, barely cracking the spine of this 1024 page classic. 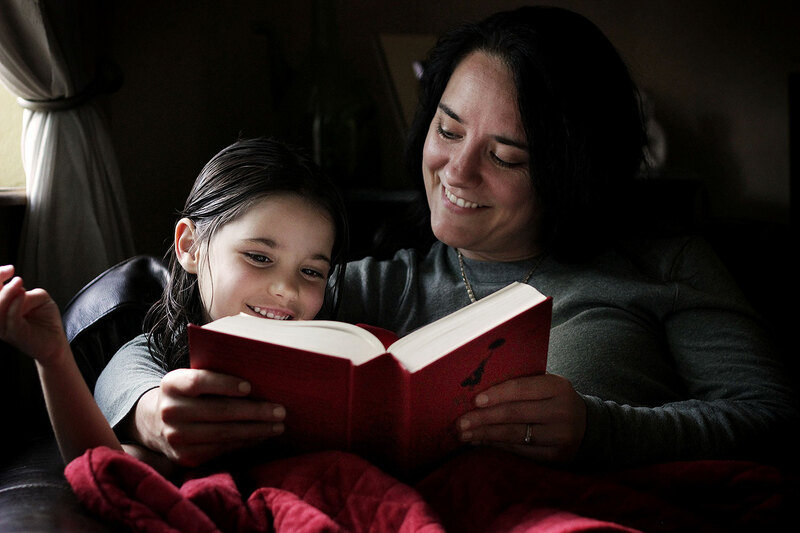 Every night at bedtime we settle into a new chapter, following the 5 Banks children on another adventure. They paint the sky, eat gingerbread stars, hang out with the constellations at a circus in space, and travel the world with a compass – and all that within the first few hundred pages. Mary Poppins not only never explains their adventures once they’re over, she insists she has no idea what the children are talking about. More than buttoned up, Mary Poppins is flat out strict, yet the children always have fun when she’s around. Turning their heads, Jane and Michael were surprised to see that the voice came from Mary Poppins’ parrot-headed umbrella, which was at that moment Catherine-wheeling towards the cake. It landed head-downwards on the tin and in two seconds had cut a large hole in it with its beak. “There!” squawked the parrot-head conceitedly, “Polly did it! Handsome Polly!” And a happy self-satisfied smile spread over its beak as it settled head-downwards on the floor beside Mary Poppins. “Well, that’s very kind, very kind,” said Mr Turvy in his gloomy voice, as the dark crust of the cake became visible. He took a knife out of his pocket and cut a slice. He started violently, and peered at the cake more closely. Then he looked reproachfully at Mary Poppins. “Sponge is much more digestible,” said Mary Poppins, primly. “Eat slowly please. You’re not starving savages!” she snapped, passing a small slice to each Jane and Michael. 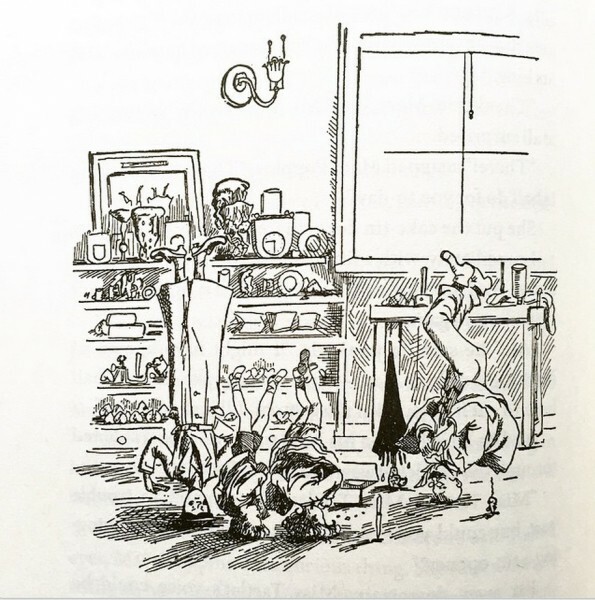 Poppins’s insistence on proper behavior is comedic brilliance by author P.L. Travers … after all doesn’t floating on your head negate any need for proper decorum? Not in Mary Poppins’s world. 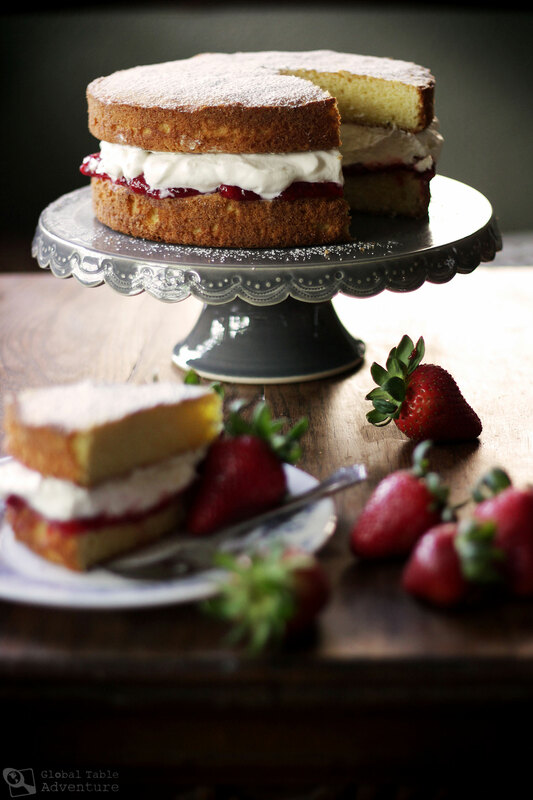 Victoria Sponge Cake is named for Queen Victoria (1819-1901) who enjoyed a slice or two at teatime during the 19th century. This was the era when taking formal tea became the thing. 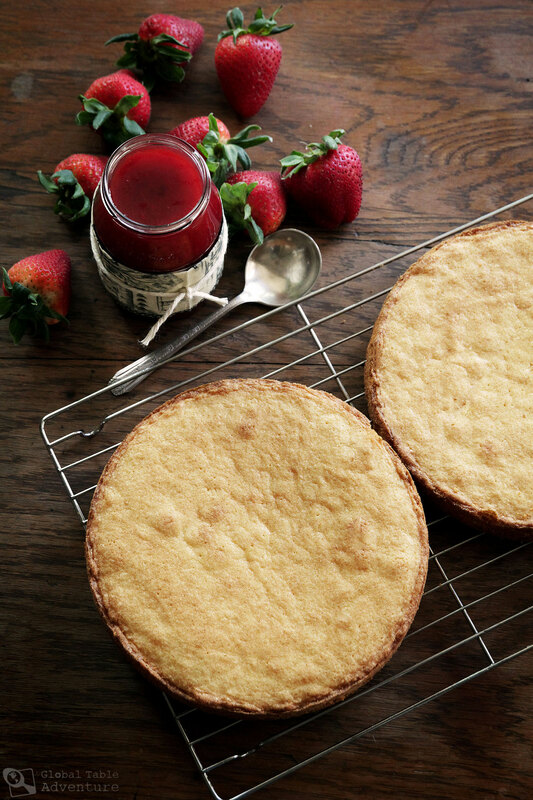 Since the queen favored sponge, the dessert became synonymous with British teatime. The mild cake is meant to be soft and spongy, hence the name. All you’ll need are a few pantry staples: flour, butter, sugar, egg, and levener – this simple cake requires no extravagance (most recipes, but not all, avoid vanilla extract and lemon zest). A plain, trim slice effortlessly makes a splash among fancier desserts on the tea spread, just as the girl-next-door shines sweetly among a gaggle of divas in stilettos. In Britain, many recipes stipulate that the sugar, flour, butter and eggs should be the same weight, based on the weight of the eggs. I made this version by the cup for folks who don’t have a scale handy (or don’t feel like pulling one out). You’ll need 4 eggs. Room temperature ingredients make the fluffiest cakes, as does creaming together the butter and sugar for a good five minutes. After creaming the butter and sugar together, alternate adding the eggs and flour to form a thick, luscious mix. A little milk makes it looser but not pourable. Finally, pop the cakes into a 350F oven (for a perfectly flat cake, use baking strips). Once baked and cooled, I followed tradition and placed a thick layer of strawberry preserves and whipped cream between the cake layers (lemon curd is fabulous, too). Another not-exactly-traditional approach is to swap out the whipped cream for a layer of buttercream. The top is left unadorned save a dusting of powdered sugar. Superfine sugar is best for this recipe as the fine granules incorporate more readily. To make superfine sugar, take one heaping cup sugar and blend for about 1 minute. Measure out 1 cup and use as instructed. There’ll be a little leftover. See above – the sugar on the right is my homemade superfine sugar (click the photo to zoom in and see the difference in the granules). Note that it is not the same as powdered sugar. I’d planned to use cake flour in hopes of making a perfectly featherlight cake but there was a drought of cake flour at every grocery store in Tulsa this week. And by every grocery store, I mean four… because, let’s be honest, if I can’t find cake flour in four grocery stores I’m done looking. I wondered if perhaps, as the grocer at Whole Foods indicated, the glut of best-selling cake mixes and gluten free products has – quite possibly – permanently taken the small shelf space cake flour once occupied. After all, the poorest selling products get the boot. In which case we all better learn how to make cake without cake flour. The good news? 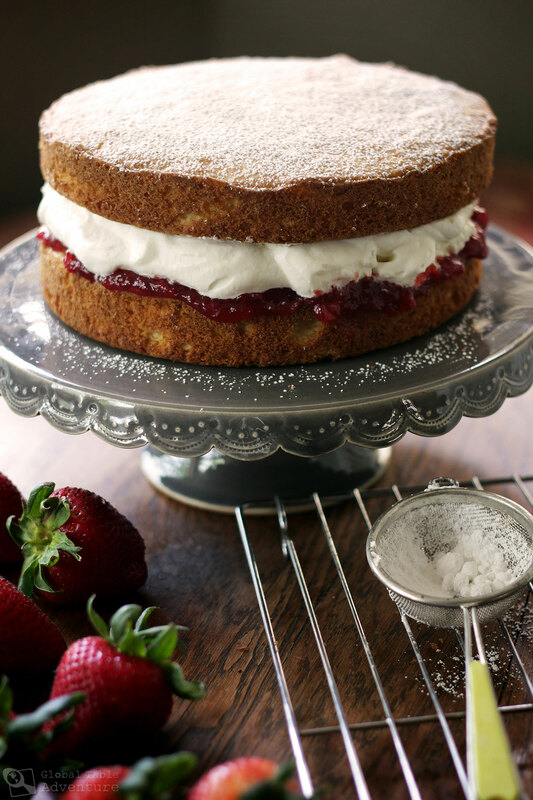 Victoria Sponge Cake is also fabulous with all-purpose flour and requires no special trips to the market. Which leaves you more time for reading and eating! And that, I’d say, is a win-win. Mary Poppins: 80th Anniversary Collection, Book 2 – Mary Poppins Comes Back – Chapter 4 – “Topsy Turvy.” by P.L. Travers. 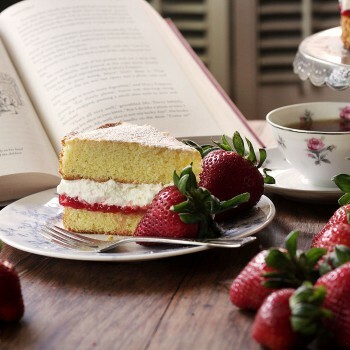 Victoria Sponge Cake is named for Queen Victoria (1819-1901) who enjoyed a slice or two at teatime during the 19th century. It is also a favorite of the fictional character, Mary Poppins. The mild cake is meant to be soft and spongy, hence the name. Preheat oven to 350F. Meanwhile, grease two 8-inch cake pans and line the bottoms with rounds of parchment paper. 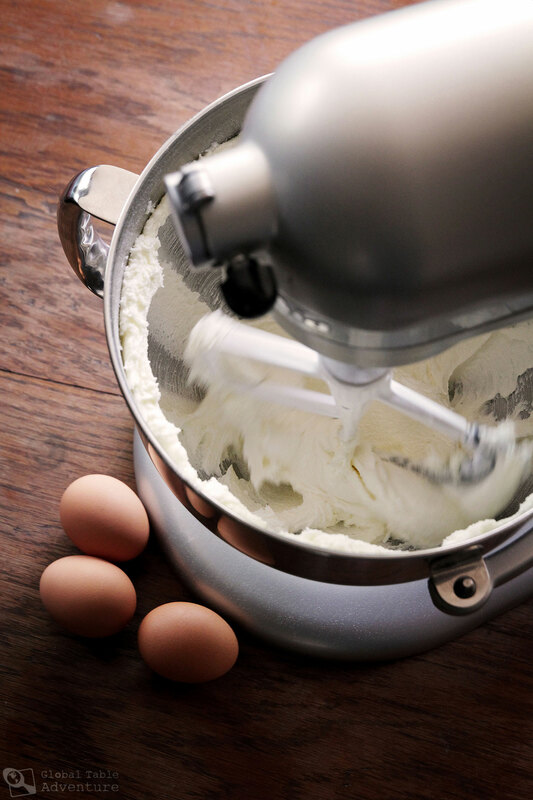 Beat butter and sugar together for several minutes until fluffy and white (using a stand mixer fitted with paddle attachment or hand mixer). Scrape sides occasionally. 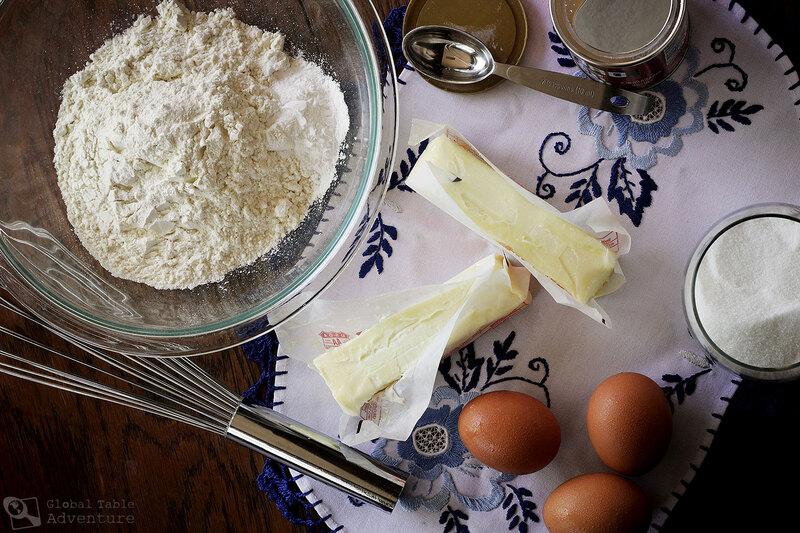 Add the eggs and flour to the butter mixture in alternating thirds on low. Add the milk to loosen a bit. Scrape as needed. When fully combined, divide between baking pans. 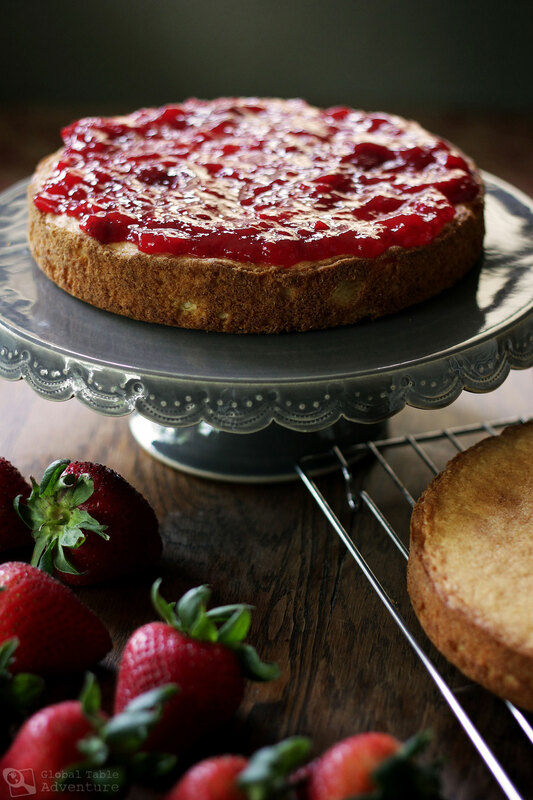 On the bottom layer of cake: Spoon on strawberry preserves or lemon curd. Top with a generous layer of whipped cream, then the second layer of cake. Dust with powdered sugar and serve with hot tea. Cooled cake layers may be wrapped in plastic wrap and aluminum foil, then stored in the freezer for a month or two. Thaw at room temperature, then decorate as usual. 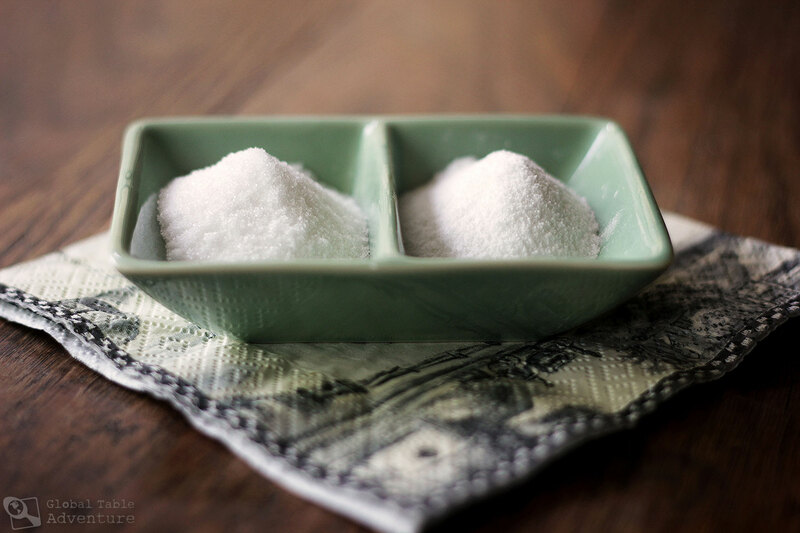 To make superfine sugar, take one heaping cup sugar and blend or process for about 1 minute. Measure out 1 cup and use as instructed. There may be a little leftover. To avoid a domed cake, use baking strips. I usually have luck finding cake flour at Walmart. And I think I will totally be using this recipe for my birthday, lol. I’m doing a tea party (because I’m turning 30, so why not?) and have been stumped as to what kind of cake to have, but this is perfect! Best served on Royal Doulton Lady Carlyle bone china. Looks delicious! I wonder what would happen if one separated the eggs and meringued the whites with some of the sugar, folding them in at the end. Would the cake fall like a souffle? or remain fluffier? It would probably remain fluffy but I don’t think you need that extra step. This cake is really tender and fluffy… some British folk like to actually make this cake as a dump and stir – which is even less fussy than what I did but I’d think a tad denser. Beautiful photography and a lovely story! Sasha, you know what would go well with the cake? A cup of our Ceylon Cinnamon Tea. It would wash away the guilt in the true literal sense. Sorry, could not pass up that opportunity. Well done. You certainly have a knack for making lovely cakes and the photography to match. 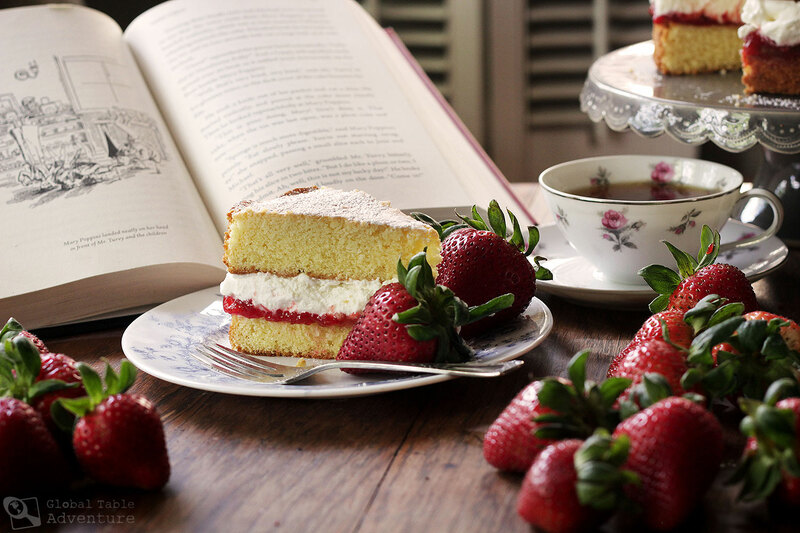 The book, the cake, the strawberries and the Tea in the background was an inspiring touch. It really was very well done. If I have cake flour, should I still add baking powder to the mix? I’ve seen several recipes without the baking powder, so I’m not sure whether or not to add it. I won’t get pregnant from this ? Hate to be stupid, but what are “cake strips”? How long do you cool cake before releasing from pans? I just tried this and the sponge came out very dry. Not sure what went wrong as I followed the directions. Will probably give it one more try but I was kind of disappointed . Yeah the proportions in this recipe are not right. I ended up with what looks like a biscuit. Don’t use this recipe. 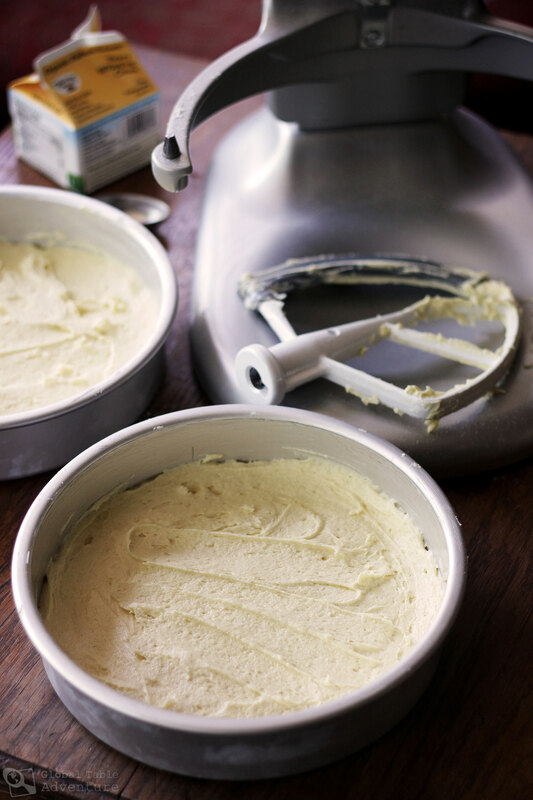 Cake flour can be made at home. It is 1 cup all purpose flour plus 2 T corn starch. Measuring the ingredients in a cake is very important. This recipe doesn’t say to sift, but it helps immensely. Then spoon the sifted flour into measuring cup, level with backside of butter knife, then follow recipe. There will be flour left over when doing it this way. I’m tempted to try it the way Sasha says the English do it, by using a scale and using egg weight to determine amounts. Interesting!